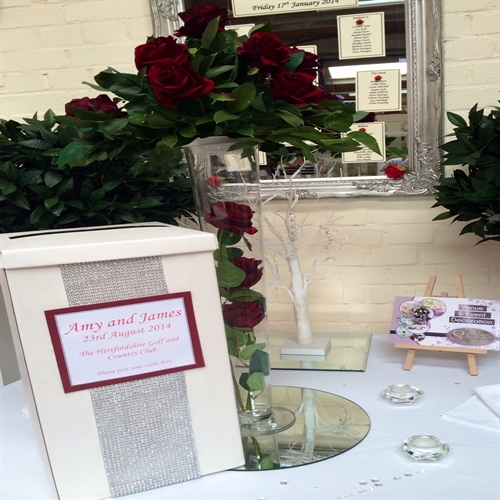 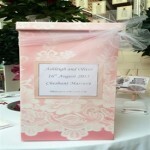 Personalised plaque on the front containing your wedding details. 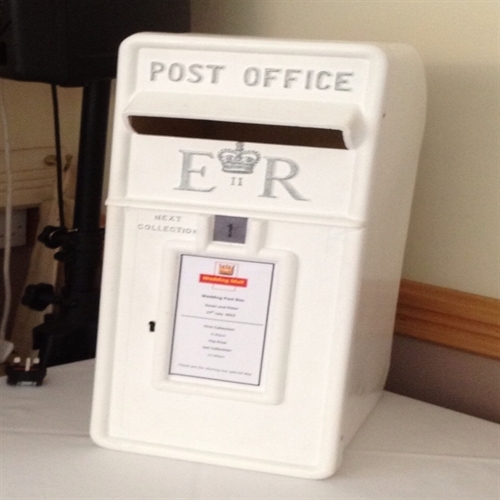 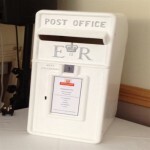 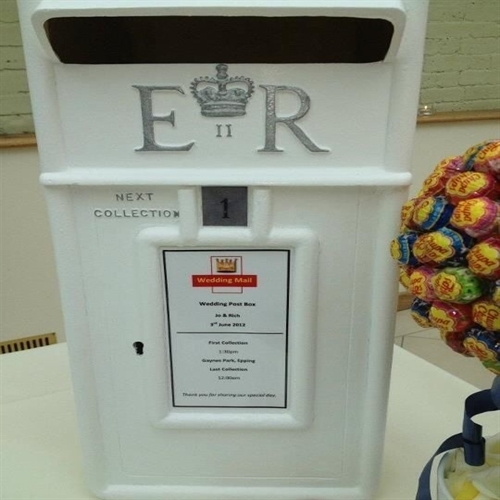 These post boxes are available to buy in our shop plain or already decorated. 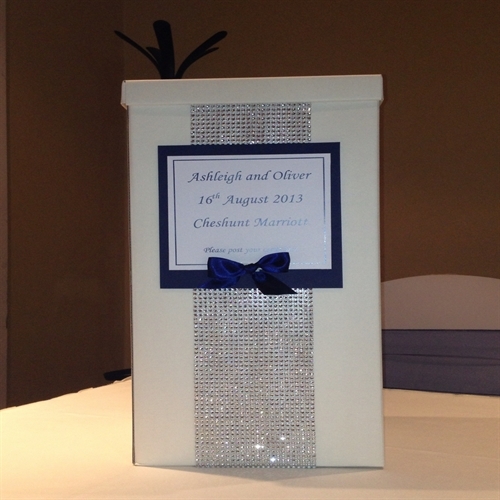 Lots of designs available just ask. 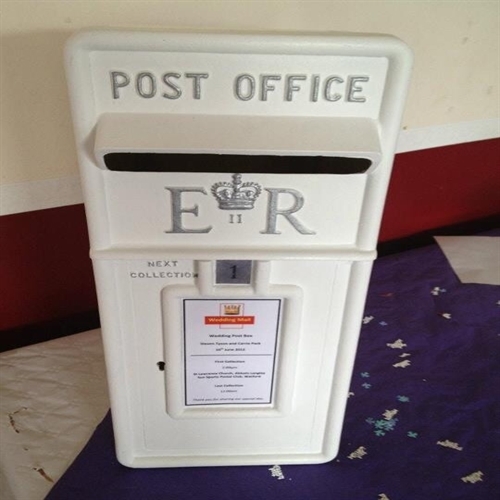 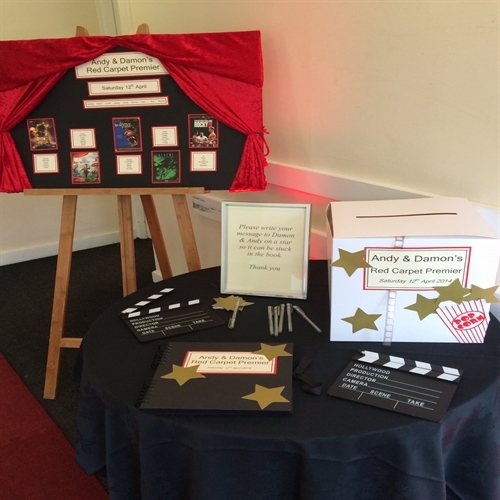 For post box ideas please see the images below.